Want an easier way to schedule appointments with clients, leads, or vendors that doesn’t involve going back and forth through email to pick a time? Scheduling meetings and calls with people through email can be time consuming and prone to error when dealing with multiple time zones. But now with Zapier integration and the Daylite API, you can integrate Daylite and calendar publishing apps to automatically book appointments in Daylite. Apps like Calendly or YouCanBook.me allow you to publish your calendar online and make it easy for people to book appointments with you. Using Zapier integration, you can automatically pull those new calendar events into Daylite. This way your Daylite calendar is always up to date, whether you’re booking meetings directly in Daylite, or through online calendar publishing apps. This makes it much quicker and easier for you and your clients or leads to book calls or meetings with your team. You can build this automated workflow yourself easily with Zapier. Visit our Zapier page to start integrating Daylite and the other apps you use. You can also use this Help Article that walks through the steps of creating a new Zap. If you’re a developer, you can build custom integrations directly using the Daylite API. Zapier integration and the Daylite API are exclusive to Daylite Cloud and are not available for Daylite Self-Serve. 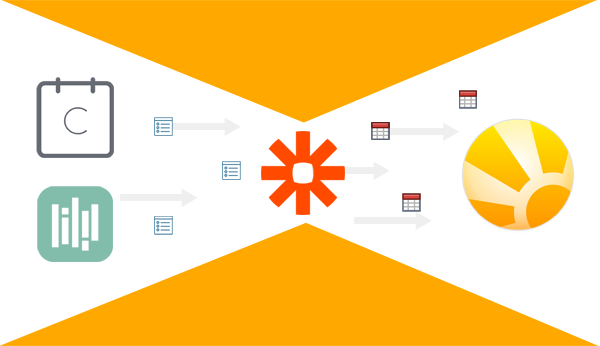 Want to ditch your server and take advantage of more integration options like Zapier? Contact us about moving to Daylite Cloud and save 24% with the Loyalty Upgrade Plan.